The new year is barely under way, but I’ve already started penciling dates into my calendar through the ENTIRE year. 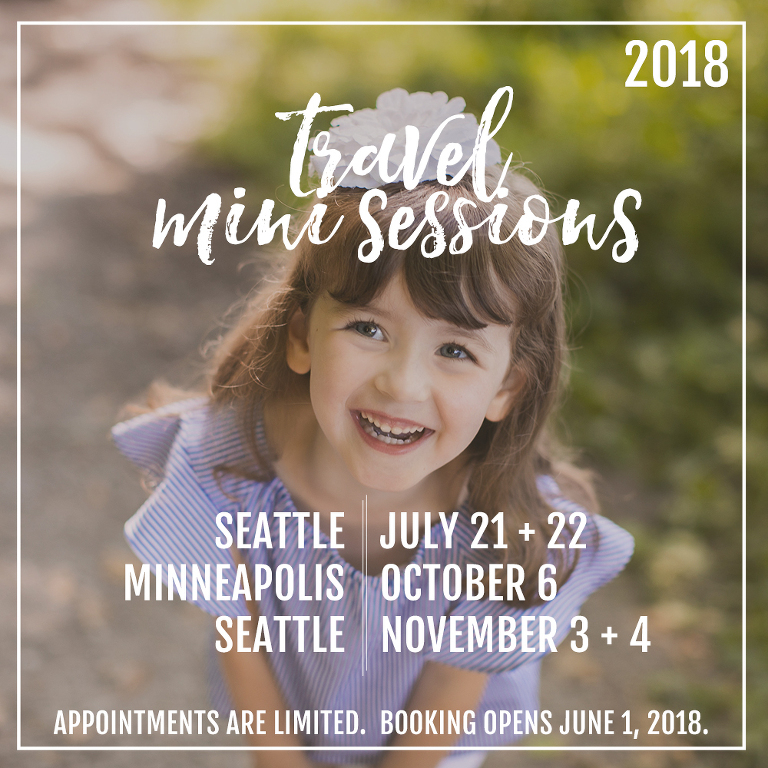 Since I’m a planner (maybe you are too so you’ll appreciate this), I wanted to share my 2018 TRAVEL SESSION dates so you can pencil them onto your calendar! All travel sessions will go on sale right here on the blog on June 1, 2018 (pricing and specific location info will be available at that time). I’ll be in Seattle July 21 + 22 and November 3 + 4. And I’ll be in Minneapolis October 6th. Hopefully I’ll get to photograph YOUR smiling face!